Parts of northern Colorado saw continued improvements following some recent additional snow a week after southern Colorado saw dramatic improvements. 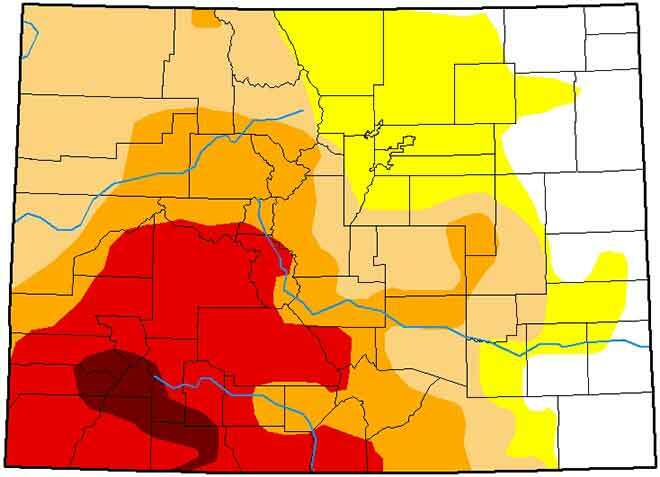 Severe drought receded to moderate conditions for central Routt County in the northwest portion of the state. 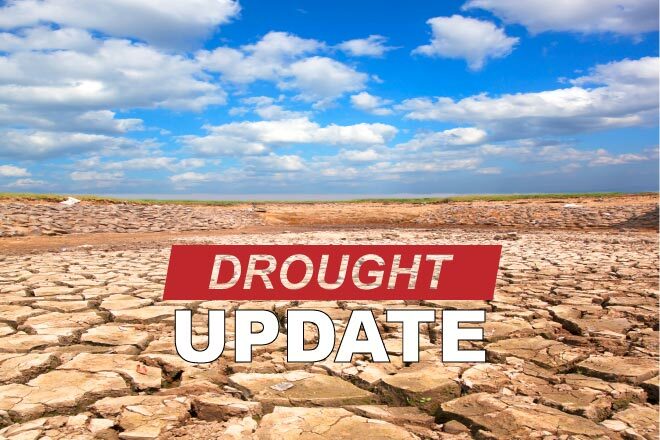 Abnormally dry conditions replaced moderate drought for parts of Adams, Arapahoe, Denver, Douglas and Elbert counties after recent storms in the metro and Front Range area. Portions of the northern Denver metro area saw up to a foot of snow during a fast-moving storm Monday. Overall, 16 percent of the state is drought-free, unchanged from the prior week. Abnormally dry conditions increased to 18 percent of the state from 16 percent. Moderate conditions receded one point to 25, while severe drought dropped from 20 percent to 19. Extreme and exceptional drought were unchanged at 19 and three percent, respectively. One year ago, just one percent of the state was drought-free while 24 percent was abnormally dry. Moderate conditions impacted 47 percent of Colorado, with the remaining 29 percent in severe drought. Drought affects an area with nearly 1.8 million people in Colorado. Despite receiving precipitation in the form of snow in several areas, the state was mostly dry during the week, closing out with warmer temperatures approaching 60 for parts of the state. Snow water equivalent - the amount of moisture in the snowpack - dropped slightly for all river basins over the week. The South Platte basin slipped from 115 to 113 percent of median for this time of year. The North Platte basin dropped two points to 104 percent, while the Yampa and White basin slipped one to 108 percent. The Colorado basin declined from 114 percent to 112. 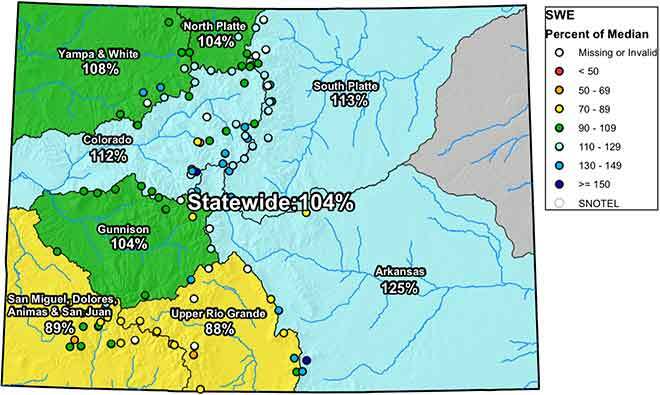 The Gunnison basin fell from 111 percent to 104. The Arkansas basin declined from 131 percent to 125 of median, but remained the strongest area in Colorado. Drought-plagued southwest Colorado saw the San Miguel, Dolores, Animas and San Juan basin and Upper Rio Grande basin, both at 95 percent last week, fall to 89 and 88 percent, respectively. Statewide, the snow water equivalent stood at 104 percent, down from 108 last week.